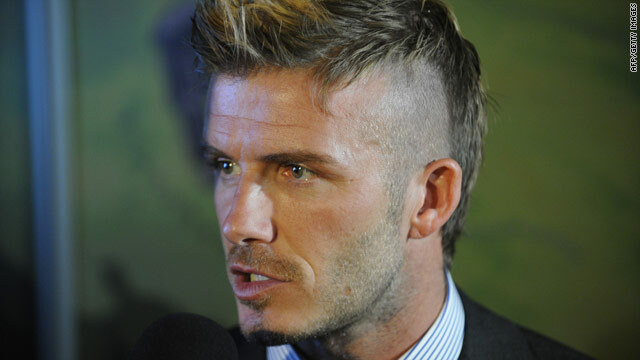 David Beckham began working with the English World Cup bid team at the end of 2009. (CNN) -- Soccer superstar David Beckham will spearhead England's presentation of the country's official bid document for the 2018 World Cup hosting rights. FIFA will make a decision on December 2 as to which country will be the 2018 host and also for the 2022 event. England, who have also asked to be considered for 2022 if unsuccessful for 2018, will be up against the United States, Russia, Australia and joint bids from Belgium and the Netherlands, and Portugal and Spain. With Europe likely to win the 2018 event, Japan, Qatar and South Korea are bidding for only 2022 hosting rights. Beckham will be able to play a more active role in England's bid due to the ruptured Achilles he suffered while on loan at Italian club AC Milan, which has also ruled him out of the Los Angeles Galaxy's Major League Soccer season. He has already contributed to the campaign, taking part in an expo for bidding nations last December. "It's fantastic news that David's schedule has enabled him to present and head our bid in Zurich," Football Association and bid chairman David Triesman told the FA Web site on Monday. "It is entirely appropriate that he does so as our bid is about football and the passion for it in our country. Nobody represents that better than David. He is a fantastic footballer and a global role model." England's bid book will feature proposals for stadiums, training venues, base camps and fan parks. The FA said about 16 stadiums are required with minimum capacities of between 40,000 for group matches and 80,000 for the opening match and final. FIFA has strict requirements for accommodation, transport, IT, medical services, broadcasting, safety and security, ticketing, hospitality and commercial rights.